Welcome to the page on Planet Whiskies referring to Irish Whisky Distilleries. 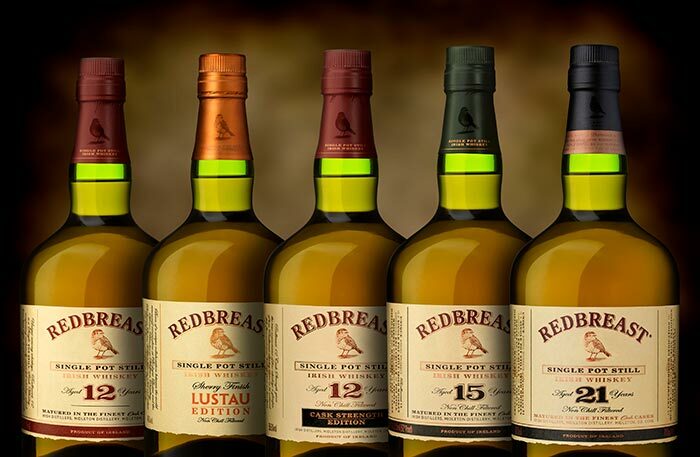 There are five distilleries at present mentioned on this page an thay are The Irishman Distillery, Old Locke’s Kilbeggan Distillery, Old Bushmills Distillery, The Cooley distillery, Clontarf Distillery and the Jameson Distillery. The Jameson brand name is probarly one of the most famous Irish whisky brands in the world and is a massive whisky with the America public. More Irish whisky distilleries will be on this page in the near future, but if you would like your local distillery mentioned straight away please email Planet Whiskies and I will insert the distillery onto this page. All the Irish Whisky distilleries mention below have external web links to the distillery own site. This will give you the opportunity to research more information and improve you knowledge regarding the distillery in question. 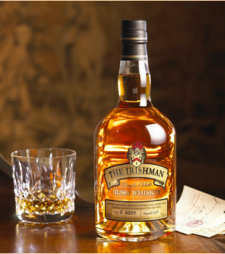 The Irishman is a boutique producer of premium Irish Whiskies. Most notable is The Irishman 70 which has already claimed 4 gold meals this year including the International Spirits Challenge and a Double Gold at The San Francisco Spirits competition. The Irishman specialise in re-creating some of Irelands lost whisky treasures such as Potstill whiskies. All the single malt whiskies that are distilled at the Irishman have to be aged for over a 10 years and there have a limited availability to 1000 cases in first year production to keep the demand for the whisky as high as possible. The actual distillery for the Irishman is located at Irelands famous Bushmills Distillery. Our single malts are all limited editions which are signed and numbered. And this year see's The Irishman Rare Cask Strength being released. There are only 1400 bottles so get your now!! Click here to visit their website. 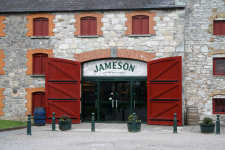 Jameson Distillery was founded in 1780 in Dublin and become a great success throughout the 19th century as whiskies exports increased. Ireland was by far during this period the largest exporter of whisky is the world, but this came to an end when American Prohibition laws came into effect in 1919 and sales become nothing. Another factor for the decline of Irish whisky was because of the British market and in 1922 the British Empire introduced tariff barriers when the Ireland become independent. 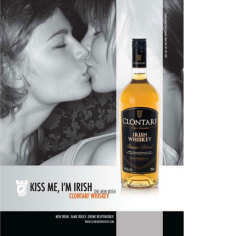 This prices Irish Whisky out of the market. In 1966 Irish distilleries where fast become extinct and only three distilling companies were left in the Republic of Ireland. They were Cork Distillers Co Ltd, John Power & Son, and John Jameson & Sons. They thought the only way for the Irish Whisky industry in the Republic to survive was to join forces and a new company was formed. They were now called Irish Distillers. Six years later a fourth company joined Irish Distillers, but this time the distillery was from the North of Ireland and was Bushmills. Bushmills still has its distillery in the North and keeps the Bushmills name alive. Old Locke’s Distillery in Kilbeggan gain a license in 1757, but has not distilled whiskies since 1953. This distillery is believed to be the oldest licensed distillery in the world and when the distillery was in production they used all local material to produce whisky. This was pure water from the nearby Brosna River, ready supply of turf and grain growing locally in the nearby fields. The distillery is still open for tours, but this has to be as guest of a distiller. Old Bushmills Distillery first produced whisky is 1608 and is celebrating it's 400th anniversary this year (2008). They are famous worldwide with the Bushmills blends of whisky. The Bushmills 10 Year Old Single Malt whisky was also given by the New York Time a great award in tasting saying it was the best Irish Whisky on the market in 2006. This has of course helped the profile of Bushmills. The distillery welcome visitors to their distillery in Antrim and will be more than happy to show you around the famous Irish distillery. Its distillery is also the oldest licensed distillery in the world and is a must visit. For more details can be found out at their website www.bushmills.com. Just fill out the form on the contact us page and ask for more information regarding tours and their whisky products. 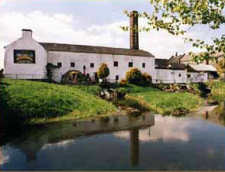 More details regarding Bushmills distillery can also be found out throught the sister site of Planet Whiskies at www.greatwhiskies.com where details regarding Bushmills 5 Year Old Single Malt can be found and more details about this historic distillery. 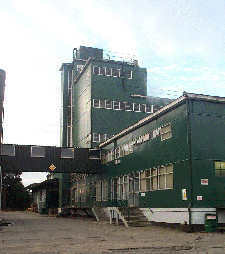 The Cooley distillery was built in 1987 and is Ireland's only Independent whisky Distillery. The distillery produces a full range of whiskies ranging from Single Grain whiskies to Single Malts. All these whisky are supplied to most of Europe's whisky retailers. The Cooley Distillery also supplies whisky to the world wide market place with such whiskies as Knappoque, Clontarf, Brennans and Hennessy. 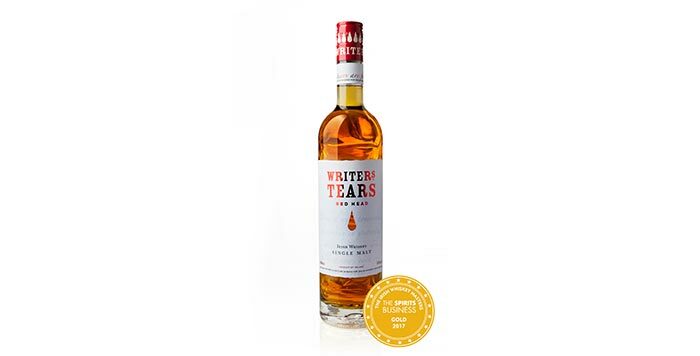 With this distillery being independent this has brought great competition to the rest of the Irish whisky market and as a result Irish whiskey is growing at an excellent rate and is now the fastest growing brown spirit category in the world. The contact details for the distillery are Cooley Distillery, Riverstown, Cooley, Co. Louth and their telephone number +353 (0)42 937 6102. They have a very interesting website where more details about the Castle Brands can be found. Castle Brands deal with a wide range of Alcholoic drinks that are outside the range of this website, but they include Boru Vodka, Gosling's Rum and Pallini. The mission for the Castle Brands company is to develop and grow their current portfolio of premium brands and become a force within the alcohol industry. Mark Capilitan photography - Specialist in weddings & portraits - Sligo / North-West Ireland photographer.